Toasted coconut covered in compound chocolate! 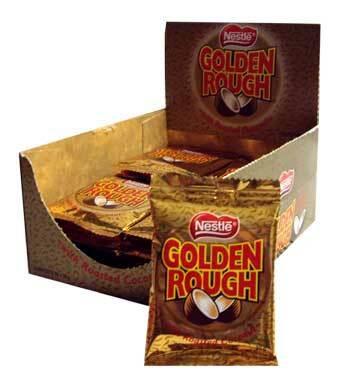 Ever since I was a small little girl I could never get enough of the Goldern Rough. I left Australia in 1990, after I got married. I been living in the US for over twenty years. I''ve now been back in Australia 2013 and I can not fund my Goldern Rough anywhere. I love this chocolate its so tasty and soothing.